General Information about Wrongful Death | Compensation | Why Hire a Wrongful Death Lawyer - How Do I Choose The Best One For Me? What if a death occurs before bringing a personal injury lawsuit? | What if a death occurs before bringing a personal injury lawsuit? 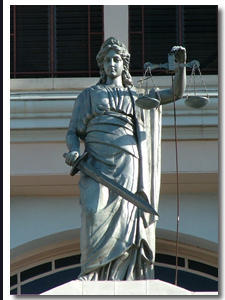 What is the difference between the civil and criminal cases that can be filed? | May punitive damages be requested in wrongful death cases? | Do all states have the same laws for wrongful death suits? | What if the person never held a job? | May pain and suffering of a deceased be sued for? | May wrongful death actions be filed in cases of children or the elderly? Courts define “pecuniary damages” as those of medical and funeral expenses, in addition to loss of possible inheritance, support and services. Laws in most states provide for fair and just compensation when awarding damages resulting from a wrongful death. The statutes vary in determining if interest may also be claimed from the date of death on damages awarded. Loss of Wages. Determining the loss of wages depends on the circumstances of the decedent. If the victim was in poor health and unlikely to complete a normal life expectancy, less would be awarded. Current earnings with normal increases in pay may be used, yet other conditions should come into review, such as enrollment in college or technical schools and potential for advancement from the latest position held. The victim’s age and family history of lifetime expectancy are also factors for potential future earnings. Loss of Support. When a parent of minor children or caregiver of others passes away due to a wrongful death, the loss of support is also considered. This may be loss of monetary support, yet additional support of time, domestic help and advice is also something to be reviewed by the jury. For example, replacing the skills and abilities of a homemaker would include babysitting, housecleaning, meal preparation, secretarial work (i.e. bill paying and record keeping as well as scheduling, preparing for and keeping doctor appointments, school and sport activities, lessons (music, dance, gymnastics, etc. ), animal care and the like. Contact an Iowa wrongful death lawyer representing clients in Mason City, Iowa today to schedule your initial consultation. Loss of Potential Inheritance. When someone passes away, depending on their age, a loss of potential inheritance occurs in regard to their children and spouse. States vary in the acceptance of this as reason for additional compensation in wrongful death lawsuits. Experienced wrongful death attorneys would be able to assist in the possibility of including compensation for this. Punitive Damages. When serious or malicious wrongful deaths occur, punitive damages may be sought by the victim’s survivors to discourage others from behaving in the same way. Most states do not allow this in wrongful death cases. Several states do have specific statutes allowing this, and other states have no statutes. To determine if your state allows this type of compensation, it is advisable to ask your wrongful death attorney before the suit is filed. Multiple defendants. When several parties are named responsible in a wrongful death action, one or more may want to settle out of court before the case goes to trial. They do this to avoid publicity showing they were responsible for a wrongful death. If one or more defendants are allowed to settle out of court by the plaintiff, this may cause lower recovery amounts from the other defendants by the jury. The amount settled on with others may also be deducted from the amount named by the jury. There are also other repercussions from allowing one or more defendants to settle while proceeding to trial with others. Experienced wrongful death attorneys are capable of discerning the consequences and attributes of allowing defendants to settle out of court. Jury Adjustments. Once all the evidence has been presented, the jury will determine the amount of the damages, if any, to be given to the plaintiff. This amount may be adjusted by the court for several reasons. The amount the victim of wrongful death gave to his or her family is considered a major factor. If most of the income went for family support, that amount may be recoverable, yet if the victim wasted income and did not support the family, the jury’s amount may be reduced. Other reductions. When final amounts are calculated, the law takes into consideration any other payments from “collateral sources”. These include insurance payments (other than life insurance), worker’s compensation, employee benefit programs and Social Security.